Undercover Ultra Flex Folding Truck Bed Cover: The Ultra Flex Truck Bed Cover not only covers your cargo, but is packed with features that you won't find on most other covers. The UltraFlex features dual rail truck bed lights, a saddlebag storage unit, and ultra tough carpet-like finished underpanels. , protect your cargo, and look good doing it! Undercover Ultra Flex Folding Truck Bed Cover is the perfect solution for your truck. 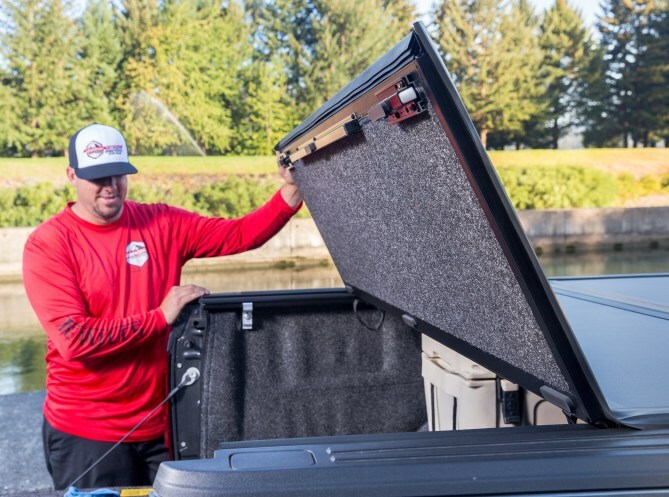 This hard lid folding tonneau installs in minutes and requires no tools or automotive knowledge to install. No Drilling Required! The The Undercover Ultra Flex Folding Truck Bed Cover is made from FRP (fiberglass-reinforced polymer), which is both stronger and lighter than aluminum. The superior matte black finish provides ultimate protection against harmful UV rays and keeps your cover looking new even after years of ownership. Even better, the Undercover Ultra Flex has an extremely low profile for the best aerodynamics, and looks. Undercover Ultra Flex Folding Truck Bed Cover can easily be folded out of the way, to allow ease of loading or quick convenient access to cargo. 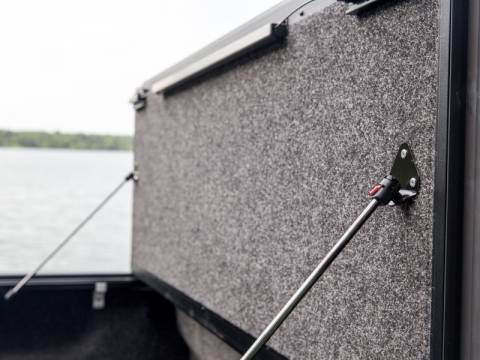 Thanks to the included prop rods, the Undercover Ultra Flex will stand up at the front of your truck bed, allowing for complete bed access without removing the cover from your truck. 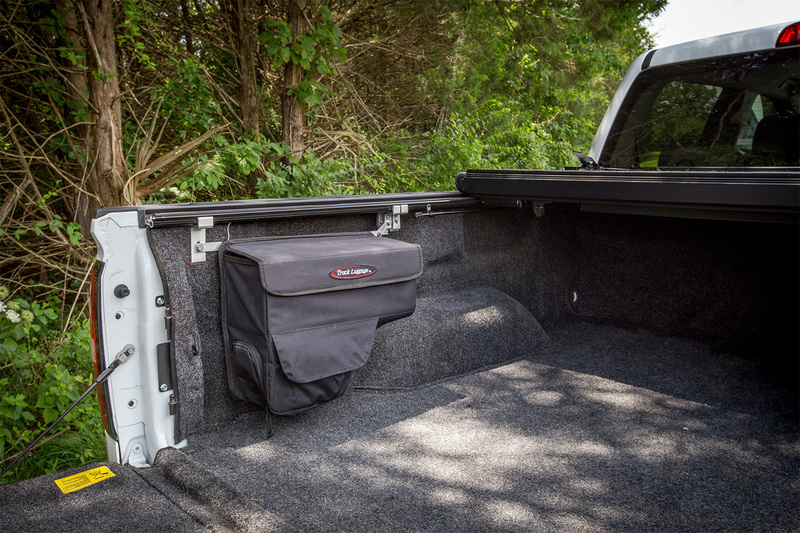 You also can drop the tailgate with the Undercover Ultra Flex Tonneau completely closed. 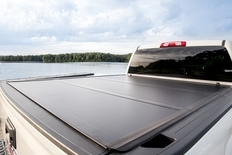 The UnderCover Ultra Flex Tonneau Cover is designed specifically to fit your trucks make and model for a superior fit! Trucks with spray on and under rail bed liners have nothing to worry about either. The Undercover Ultra Flex still fits perfectly! Be sure to watch our demonstration videos by clicking on the tabs above to see why the UnderCover Ultra Flex is the right choice for your truck.. Backed by a 3 Year no hassle warranty. The part number for this item is Undercover UX52014 and it fits 2016-2017 Nissan Titan (5 1/2' BED w/out Utili-Track System) Models.